Fr. 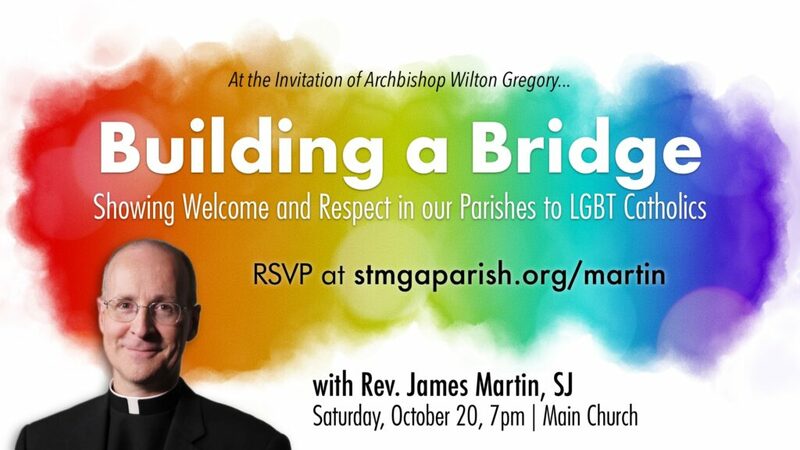 James Martin, S.J., best-selling author (The Jesuit Guide to (Almost) Everything and Building a Bridge: Showing Welcome and Respect in our Parishes to LGBT Catholics) will visit STM and will speak to and answer questions from interested persons on Saturday, October 20, at 7:00pm in the main church. Persons wishing to prepare for this talk might read Fr. Martin’s recent article from America Magazine.